There's a seperate ID in the savegame to allow non-registered users to have access to some online content. I think that is what is interfering with your account. But restoring a savegame backup should fix this. Found a bug or have a question? PM me or post on the forum. My game freezes whenever AI uses Flux Fusiongate's acti. Using latest AIR version of HD Xyth and latest version Adobe AIR. Idk what the cause is, could be any card in the deck. The symptom is that it always freezes 1-3 seconds after Flux Fusiongate's acti. The lagomorphs are the members of the taxonomic order Lagomorpha, of which there are two living families: the Leporidae (hares and rabbits) and the Ochotonidae (pikas). Any deckmods or environments active? Location: Somewhere on Xyth core. Recall (RV action) Doesn't works on structures even if they can be targeted. Now in an Arcane Voidsplitter. In other words: DEEP SPACE TO THE MAX POWER! I joined up about 2 years ago. Wrote a bit of TTOFH and a little secret project. Oh, I also love Disney/Pixar´s Inside Out. A HIROTO has been freshly launched with -1/-1. And I guard Both. The original one is blocked by a Tackler morph with its cip ability affecing both it and the new one. Can a randomly generated technomind have this acti? Yes, that's the dual color energy generating ability. The energy structures with 3 energy types have these, they're not linked to a specific race. Any combo is possible for custom cards. Got a randomly generated attack Barrier during a war. It has retail and regen as auto (like Void Diver), but both didn't work at all. AI had 5 solar Rifts? sorry for size, cant shrink right now. and yes, i play multiple games at once like those speed chess guys. There are 4 in play and 1 in scrap. 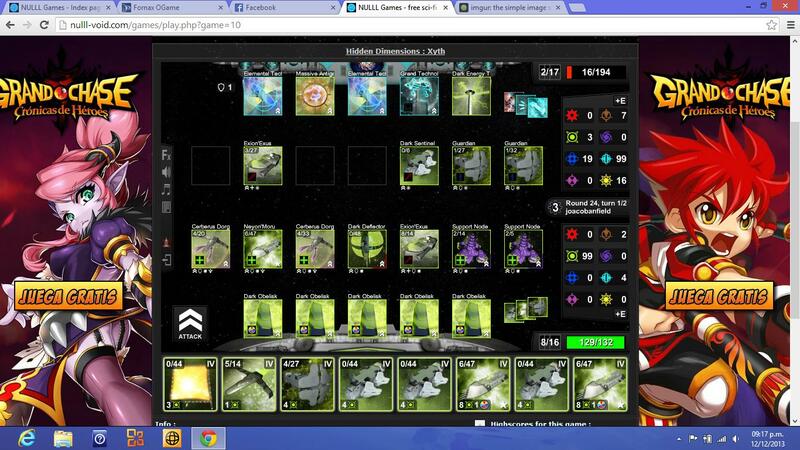 And before someone says "It´s a tactical deck", I must say that Solar Rift isn´t Elite. darn. Something went wrong pasting. Anyway the land on 1st slot is Solar Rift. can random tacticals give me 5 copies of 2 different cards?? 5 morus. As far as I know tacs give +4 copies of A SINGLE card. Any ideas on why does ti happen? ?